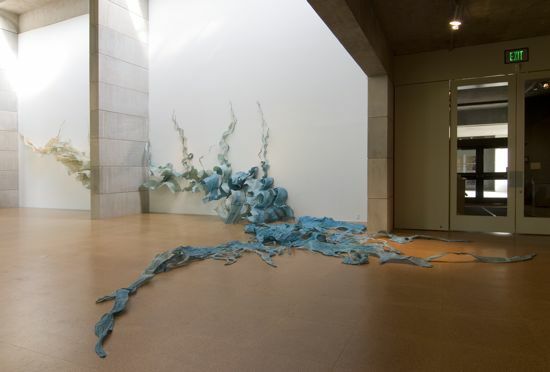 The principal piece in her recent exhibition, "Water Ways: Interpretations by Nancy Cohen," was Estuary: Moods and Modes. 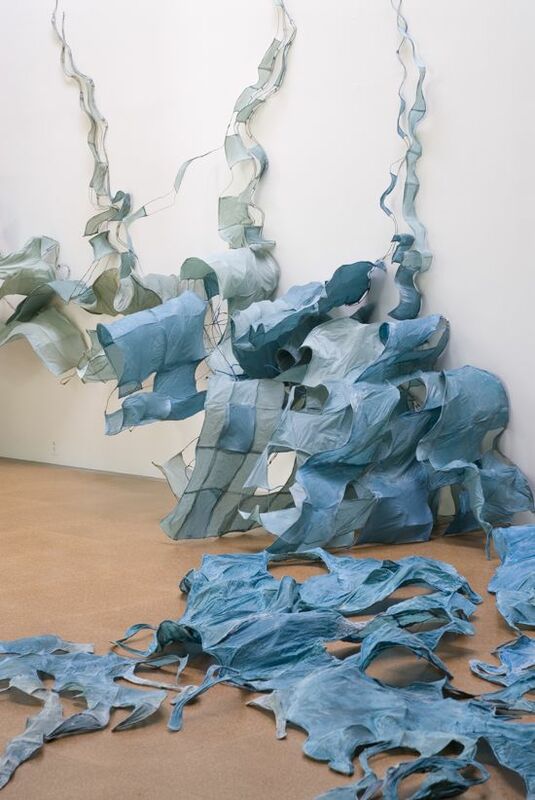 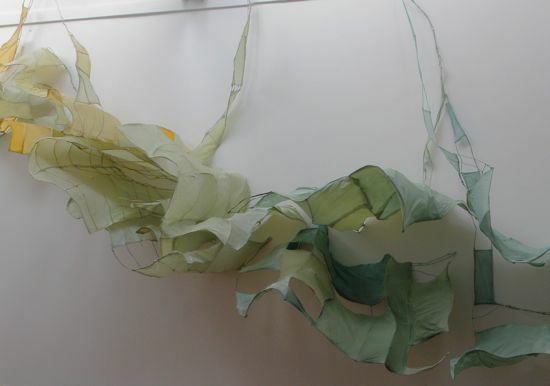 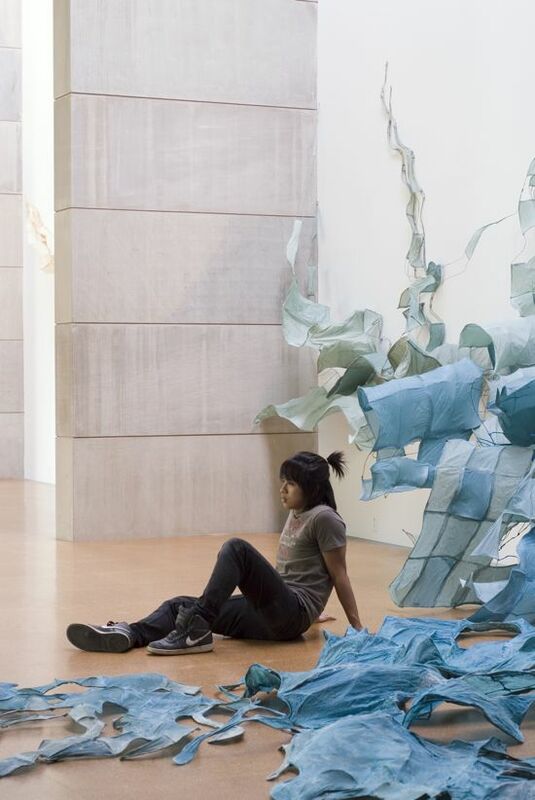 Referencing the waterways of southern New Jersey, it forms an imposing yet gracefully undulating installation of layered, handmade, and hand-colored Abaca paper pulp. 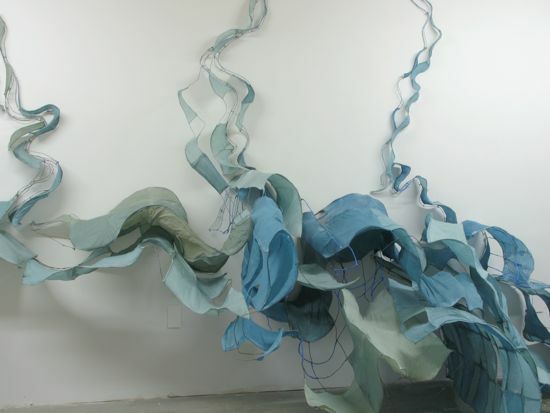 Cohen's most ambitious work to date, Estuary resulted from months of intense study and observation of the biotic community (and its abiotic environment) that forms part of the complex ecosystem of the Mullica River and the Great Bay Estuary of New Jersey's Pine Barrens.